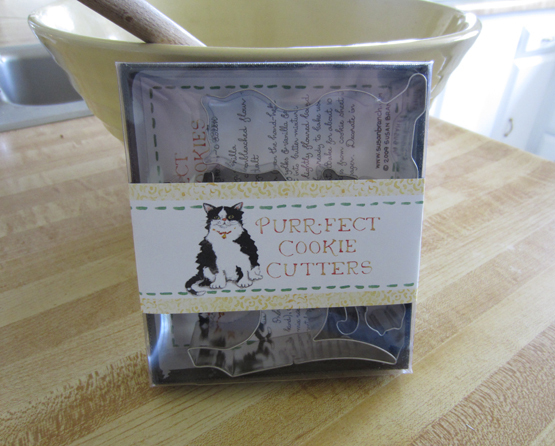 This cookie cutter set includes 5 cat shaped cookie cutters of various sizes. I have also included my delicious butter cookie recipe. Purr-fect!